Trade tastings are a funny thing. An opportunity for wholesalers to showcase the large number of wines to a combined audience of their customers all at once, it's sort of like speed dating with wines, and with the same frantic, intense pace. For this reasons I think it's wise to wait a few weeks before reflecting on any impressions. That way the novelty of the event itself will have subsided and, if you're still thinking about a wine you tasted in a busy, cluttered crowd a few weeks later, chances are it's a good match. A few weeks ago Vanguard Distribution hosted their annual trade tasting for retailers and restaurateurs. Wholesalers typically buy from larger suppliers and importers, but Vanguard has cut out the middleman and buys direct from producers. This means that most of the tables at the tasting are manned by the winery owner or winemaker themselves, rather than a proxy representative. Wine isn't getting any cheaper. Relative value is decreasing in California. More and more domestic wines taste alike. Italy remains a strong benchmark for quality and excitement. Note: I did not take any notes at the tasting, So what follows are wines which stood out for one reason or another well enough to be memorable for at least a few weeks. Highly forward, very refined, and expensive pinot noir and chardonnay. In your face extravagance. Parker probably loves these wines. At some point when all of your reference points are in the highfalutin price range, money starts getting funny. That's how price points like the ones at Whitehall Lane begin to seem quite reasonable. Such is the curse of what Napa Valley has become. That said, from an absolute perspective,these are quite enjoyable wines. 2012 Tre Leoni $27 Super friendly and easy drinking, this full-bodied and lush blend is very approachable, warm, and refined without being arrogant. 2013 Merlot $33 Very elegant and structured. everything it should be and more.my favorite of the wines in this lineup. 2012 Cabernet $44 Textbook Napa Valley Cabernet rounded out by a dollop of spice rack grapes. Toasty oak frames the large, broad sided structure of this anything but shy cab. The antithesis to snooty wine culture, winemaker hipster Brandon Allen is as affable and casual as you will find in winemaking. Taking a much more relaxed direction to both sourcing and winemaking, the results are affordable and approachable. If you have a few minutes and want a good laugh, check out his website. 2013 Broken Dreams Chardonnay $19 Real, unadulterated chardonnay fruit with ample evidence of its fidelity without being encumbered by manipulation, oak, or malolactic fermentation. Easily my favorite Chardonnay from California at this tasting. 2012 Standout Red Blend $23 Solid and structured without being over-the-top in any particular direction. Easy drinking without being flabby. Very likable. Altamira malbec and the H malbec-cabernet blend. The newer value-priced Luminis line is sourced from lower altitude vineyards in the Lujan de Cuyo - and it shows. Those wines didn't resonate as much. These winemakers are super friendly characters. 2013 Altamira Malbec $23 Probably the best malbec I've ever had. It's high-altitude origin help the reign in what often comes across as harsh tannins. Refined, poised, and enticing, a good one to buy by the case for you to return again and again like a moth to the flame. 2012 H $37 Very, very big, but still poised. Marvelous and massive. Pouring just one wine - a $10 white - this table seemed like the red-headed step child of the tasting. One taste, though, made it clear that one wine is all they needed. 2014 Quatre Cepages Cotes de Gascogne $10 Racy. Tension builds quickly thanks to the acidity and vigor of sauvignon blanc and culminates in a crackling delivery of a fruity bullet where colombard and ugni blanc take center stage. I'll bet more orders were placed for this wine than at any other table. At the other end of the budget spectrum is the venerable Chablis producer showcasing an enviable lineup of six different Chablis from as far back as 2000, including Grand Cur and 1er Crus. Each wine spoke with distinction of its respective vineyard and vintage. Quality stuff, but expensive. As cool as it is to try a 15 year old chardonnay from magnum (2000 Vielles Vignes Chablis $80), it was the second to least expensive 2013 Vau de Vey ($36) that stood out most for its promise. three whites to sample, but was the most exciting single stop of the tasting. Electric freshness is pervasive through these bottlings. 2013 Sodevo Ribolla Gialla $18 Yay for ribolla! 2013 Zuani Collio Bianco $24 Energetic and fresh with acidity as crisp as a freshly ironed bespoke shirt. 2011 Zuani Riserva Biano $35 Captivating with unfolding dimensions of flavors that echo a pulse-quickening glimpse into the hillsides of northeastern Italy. Haunting and worth every penny. This winery came on the scene like a freight train about 8 years ago with a super Tuscan Bordeaux blend called Le Cupole. I think I paid $15 for my first bottle, but the price grew with its acclaim and will now set you back close to $40. This kind of meteoric price climb is a turn off, which is only further aggravated two other reds offered at this table: one at $120 and another at $260. This stalwart producer hails from the bucolic hamlet of Monforte d'Alba where it turns out reliable wines in the standard Piedmontese quiver (dolcetto, barbera, nebbiolo, Barolo) year after year. The regular (not single vineyard) Barolo is what got my attention at this table, particularly considering it was half the price of the Barolos at the next table over. 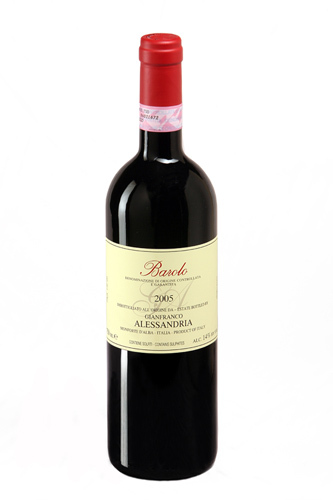 2011 Barolo DOCG $50 Inviting, approachable, extroverted, elegant, vibrant, and rewarding. Terrific stuff. Barolo is where it's at with Altare. As exciting as these wines are (and they most definitely are), the swooning does really kick into gear until you hit the single vineyard Arboina and Cerretta bottlings. Regrettably, you'll be shelling out $95-120 a bottle for these wines at retail.